Knowledge in Programming/Scripting Languages-Oracle PL/SQL. 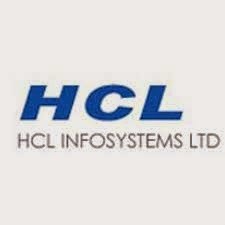 HCL is a $6 billion leading global technology and IT enterprise comprising two companies listed in India - HCL Technologies and HCL Infosystems. Founded in 1976, HCL is one of India's original IT garage start-ups.HCL team consists of over 71,000 professionals of diverse nationalities, who operate from 29 countries including over 500 points of presence in India. HCL has partnerships with several leading Global 1000 firms, including leading IT and Technology firms.